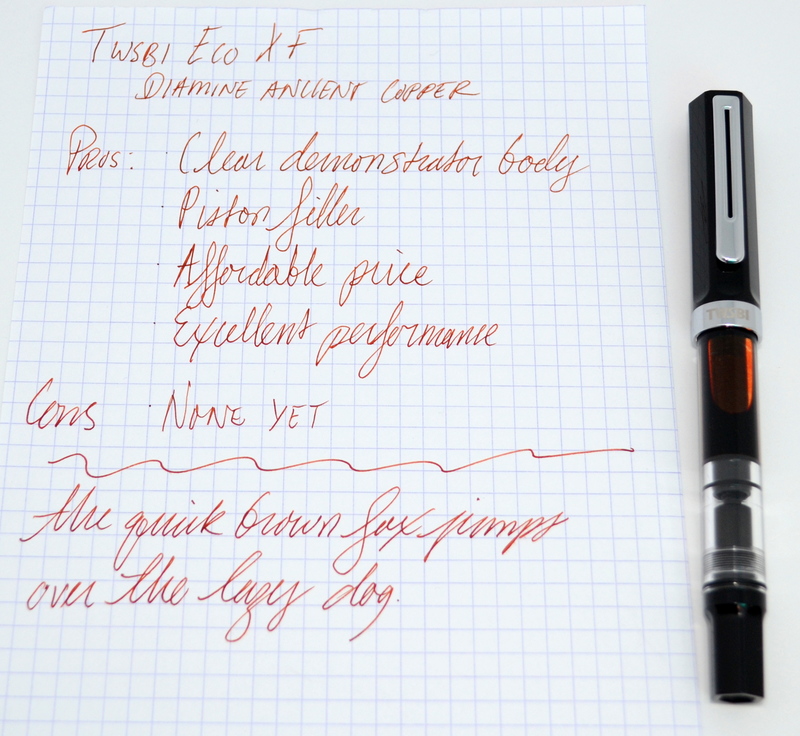 The highly anticipated TWSBI Eco is the company’s most affordable fountain pen to date at $28.99. 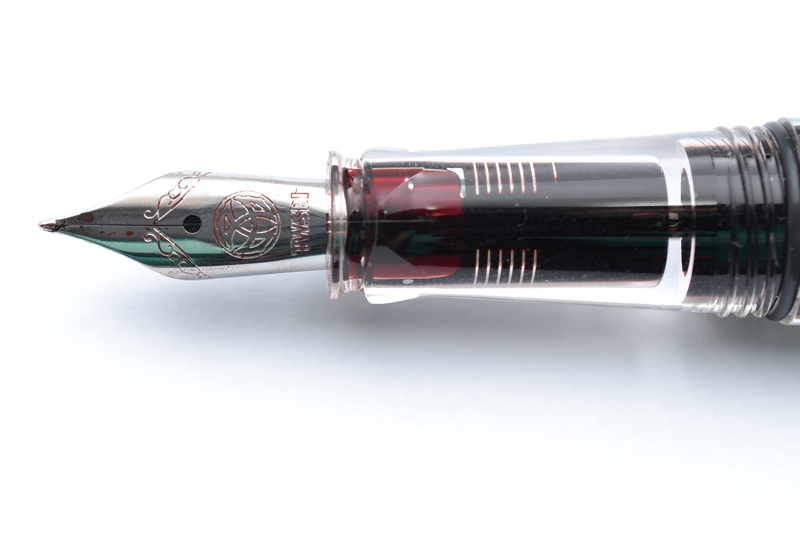 The Eco features a clear demonstrator body with a piston filling mechanism; these attributes combined with its low price make for a very enticing pen. The Eco is a full size pen at just under 14cm long capped. The Eco comes in only two colors white/clear and black/clear. I opted for the black. Like most TWSBIs, the Eco’s design offers a lot to digest. The cap and piston knob are made of a faceted black plastic while the body is made of a round clear plastic allowing you to see the internal piston mechanism and the feed. 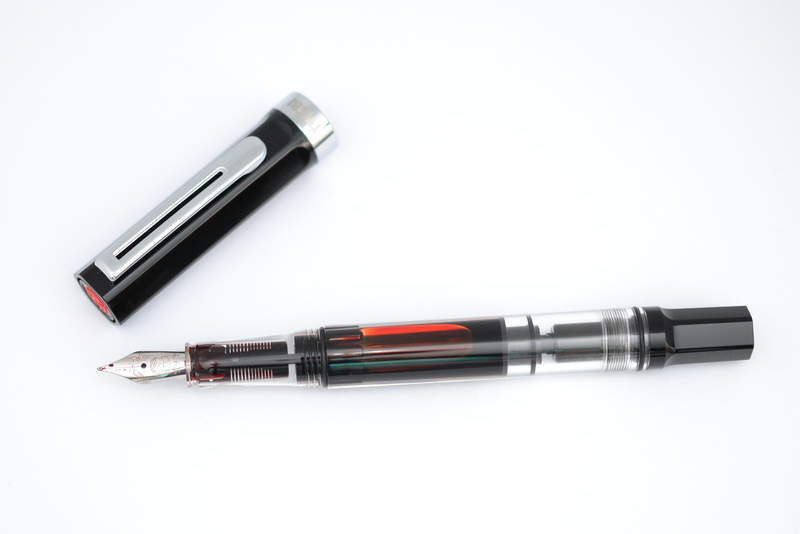 The Eco features a small stainless steel JoWo nib (the same that is used on the TWSBI Mini and Classic). For a full sized pen the nib is on the smaller side but at this price point it’s a pretty minor gripe. I ordered my pen with an extra fine nib and it is a delight to use. I was surprised how smooth it was; in fact it puts my medium nib Safari to shame. The Eco does post but the cap doesn’t seat very far down on the body making it a bit too long. The pen feels solid in hand and overall the pen is well finished. A Lamy Safari by comparison looks a feels cheap. 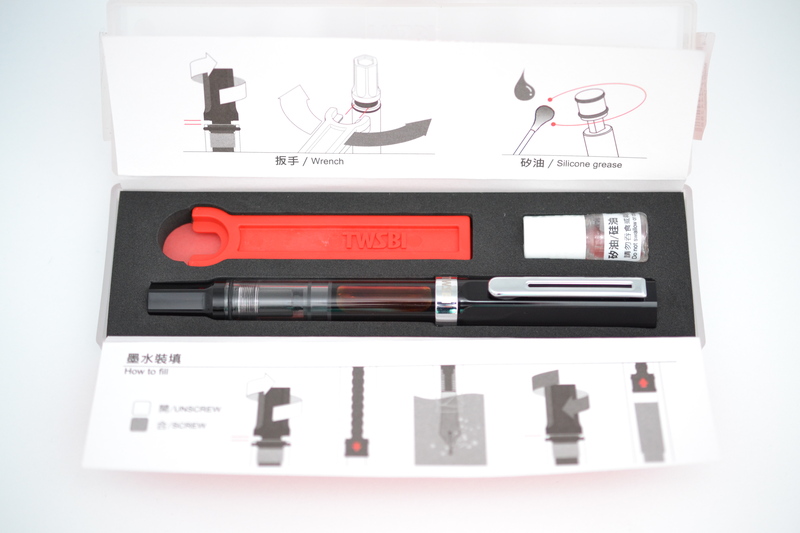 The Eco is designed to be user serviceable and as such comes with silicon grease and a wrench along with directions for servicing your pen. This is my new favorite entry level pen. To me is far better than the Lamy Safari and Kaweco Sport. That said, like you, I’m really enjoying the writing experience – I took the ‘risk’ of buying a B (most of my pens are EF or F), and just love its ‘generosity’ in laying ink on the page. Thanks for your comment Gordon! I have heard this before about the Eco. I haven’t tried to pull mine out but it seems wise to be cautious about nibs swaps with this pen. 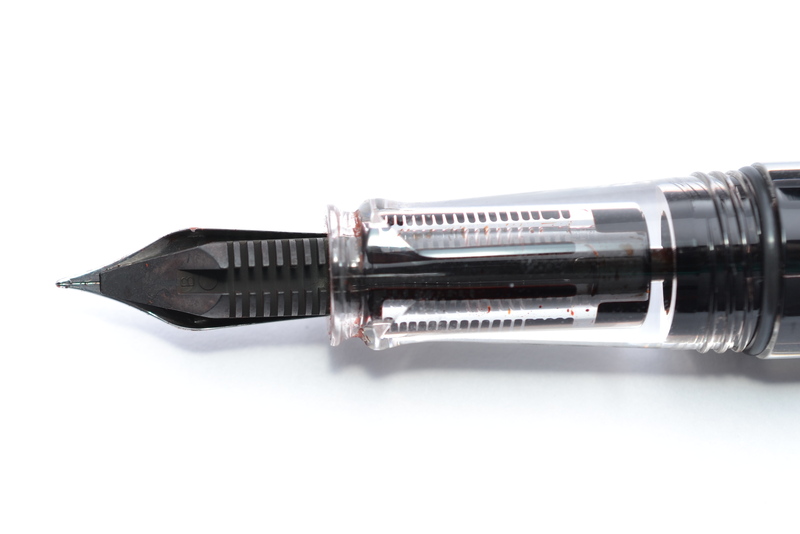 I also read on the Fountain Pen Network the other day about an Eco section cracking : ( This may be another potential issue for TWSBI (again).